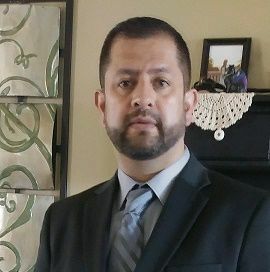 RICHMOND, Va. — The Defense Logistics Agency Aviation spotlight shines on Enrique Moreno. He’s a material support technician at DLA Aviation – Ogden. What is your job title, and what do you do, specifically? Material support technician. I monitor reports and listings for re-warehousing actions, provide input to distribution process worker expeditors for warehousing and storage actions and work with material support specialists and production customers. I also assist and support the work expediter with various material movement and distribution requirements such as receipt processing, stowing, issuing, unloading and delivering material. Why did you decide to go into a public service career? I’ve always wanted to be a part of something big, and being that I never joined the military, I felt like this was another way for me to support the warfighters on the front line. Please share with us a memorable event in your job. On January 30, 2019, we had our team building and resiliency training. Being able to interact with my coworkers outside of the working environment helped me to build better relationships and get to know them better. What is your favorite work activity? Supporting the distribution process worker expeditors by processing receipts and stows, as well as issuing and moving material to support customer production. What is your greatest achievement on the job? As an expediter, I was able to help the Hydraulics/Pneudraulics Shop service center decrease the delivery response time on 1,348 documents issued, in addition to 1,348 documents coming in from distribution. Did you have any mentors during your career? My parents have been my mentors throughout my career. It has been through their encouragement and instilling in me good morals and respect for others, that has helped to shape and mold me into who I am today. What would you say to encourage someone to go into public service? I would explain it based on my own personal work experience as a public servant. I would tell the person how rewarding it is to be a part of an organization that helps sustain freedom for more than 325 million people all over the world. Do you do any volunteer work in the community? If so, what? Yes, I spend a lot of volunteer hours assisting the Utah Military Academy Junior High School boys’ soccer team. What do you usually do with your time when not at work? I really enjoy spending time baking and cooking for friends and family as well as assisting in the gym when possible. How do you define excellence? I define excellence as the great practices and achievements of results based on great values, fundamental concepts and respect. How do you define happiness? I define happiness as a feeling based on having a positive attitude, being good, proud and thankful for what we have overcome and achieved in life as an individual. A major subordinate command of the Defense Logistics Agency, DLA Aviation is the aviation demand and supply chain manager for DLA and much of the Defense Department. Employing more than 3,800 civilian and military personnel in 18 locations across the United States including Hill Air Force Base. DLA Aviation supports more than 1,700 weapon systems and is the U.S. military’s integrated materiel manager for more than 1.2 million national stock number items, industrial retail supply and depot-level repairable acquisitions.